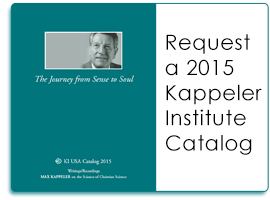 You can “attend” any of Max Kappeler’s 60+ summer school classes by listening to his timeless recordings. Attending classes will add depth to your study of Science. *If you need help, see “How to Download Recorded Classes” below. Why are some Classes available for Download only? The M and X minicourses show only a DOWNLOAD button on their item detail page, since they are not available for purchase. It is not cost-effective to produce CDs for such short subjects. If you have any questions or comments about this process, please contact KI USA.